Our Rainbow Adventure – it all started with an idea. I have an idea! This is a phrase I hear often from my preschooler. When he has an idea, he loves to tell me and we then go about some simple planning for how we can turn his idea into some fun games. And then we Play! Child-directed learning is all about taking the lead from your child – them having an idea and you facilitating the development of that idea into meaningful learning experiences. 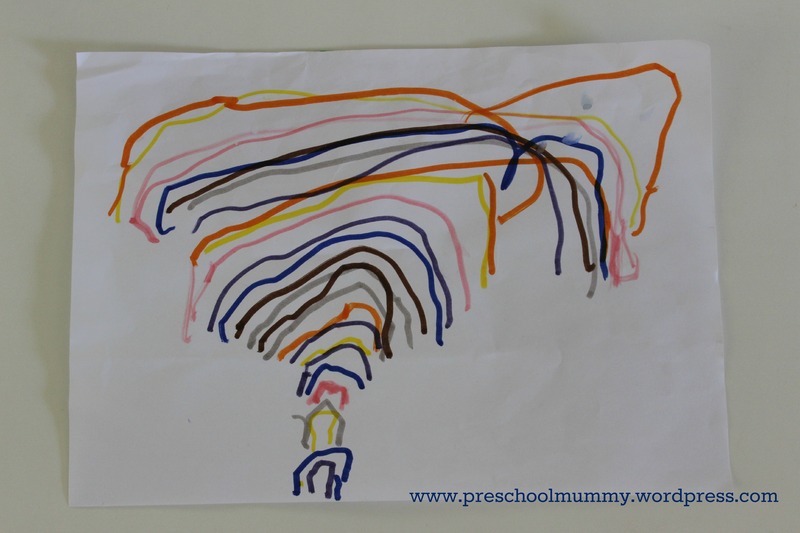 My eldest son recently came home from kindergarten beaming with pride, holding his beautiful drawing of a rainbow. And it was on! All the rainbow questions, all the rainbow language… it was beautiful! He was intrinsically motivated by something he found intriguing and interesting. 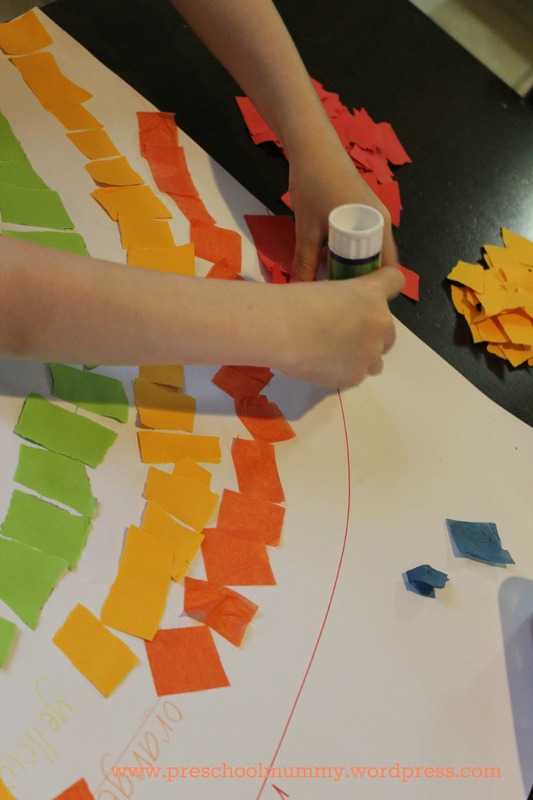 He has emerged from two weeks of school holidays as a self-proclaimed Rainbow Expert. This is the simple illustration that started us off on our rainbow adventure: If you wanted to kick off some rainbow learning, you could start by either introducing one of the following activities, or perhaps waiting for a rainbow to appear, grabbing some paper and a clipboard and taking your little one outside for some observatory drawing. From that initial drawing and spark of interest, we got all this: (click on pictures to view each activity). Thanks for reading, and Happy Playing! 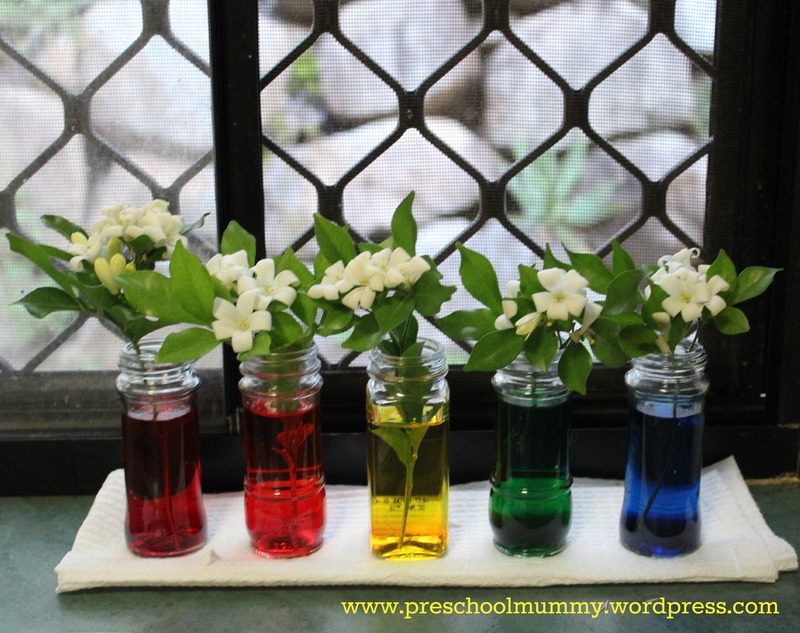 Next Post Rainbow Songs for preschoolers! Fantastic! Looking forward to hearing how you go. My boys’ favourite one was definitely the moving milk investigation!